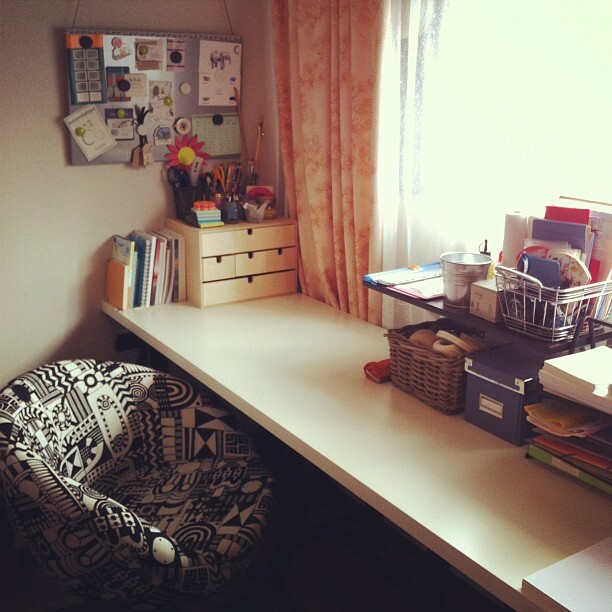 I mentioned in one of my previous posts that I rearranged my craft room (actually it's more like a craft corner). So I just wanted to show you an instagram shot of what it looks like now. It's a bit more messy most of the time. But i'm in love with this long table, mini drawer and an extra shelf. The space I had before was probably ten times smaller. I have no idea how I managed to work with that.